Rajul Aggarwal serves as an investment professional and has research responsibility for energy & power sector investments. Mr. Aggarwal previously worked at Marathon Asset Management, where he focused on energy, power, chemicals and airline opportunities. At Marathon, he also focused on distressed opportunities and served on multiple restructuring committees. 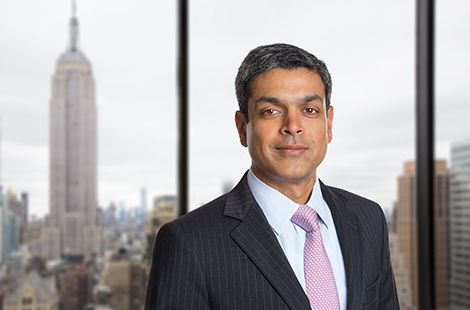 Mr. Aggarwal began his finance career in investment banking at Lehman Brothers. Prior to that, he worked as a field engineer for Schlumberger in Latin America. He earned an M.B.A. from Kellogg School of Management and a B.Tech. from Indian Institute of Technology Delhi.